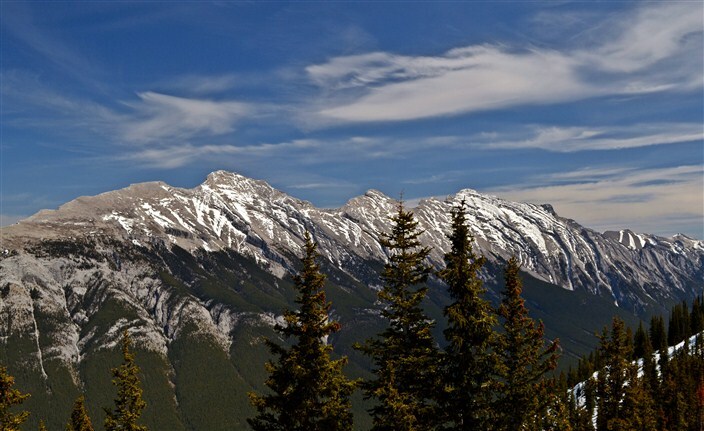 When you say Canadian Rockies, one of the first words which comes to mind is Banff. 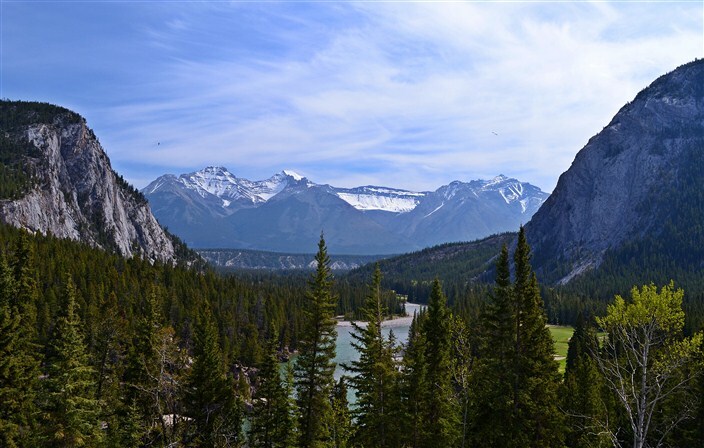 It doesn’t matter whether you’re talking about Banff National Park or the town of Banff, either one is synonymous with the Canadian Rockies experience, and for good reason. 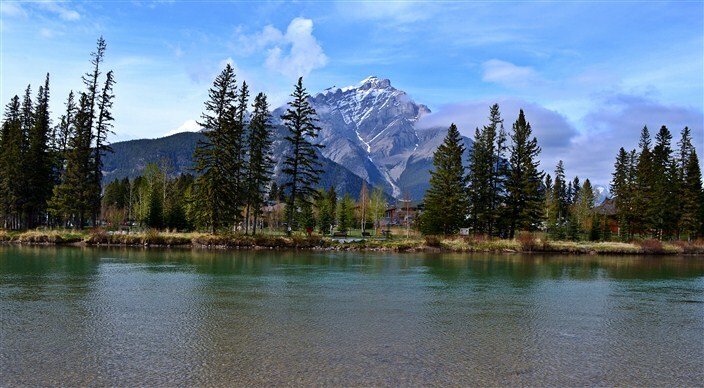 Blessed by spectacular mountain scenery, abundant year-round sunshine, world-class skiing, and tons of pristine freshwater lakes and rivers for whatever water-based activity you desire, Banff and vicinity simply can’t be topped for an outdoor oriented holiday. 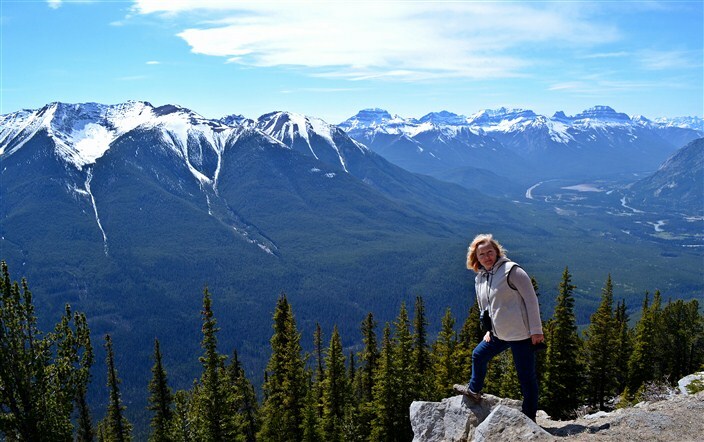 Our own Banff experience began on the second day of our trip. 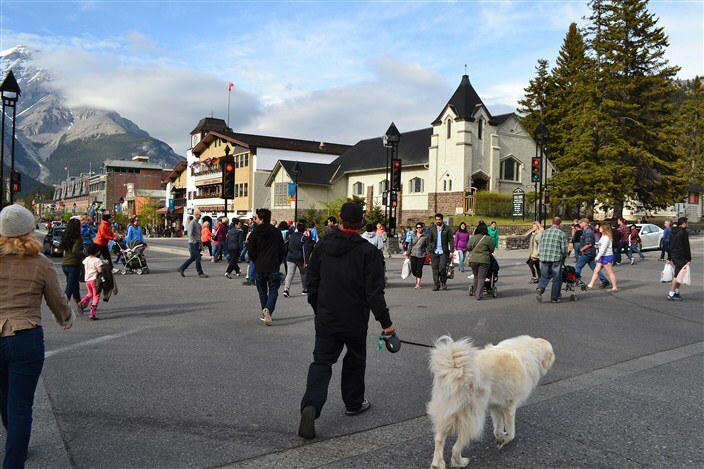 We arrived in the town of Banff mid-afternoon on a Sunday and encountered large numbers of folks roaming the streets. Well, it is a tourist mecca, after all, and crowds would be expected on a weekend, although it did seem more jammed than I anticipated for early May. So we meandered and gawked and jostled through the shops and got the feel of the place. The real fun began, though, when we finally decided it was time to find a hotel for the night. 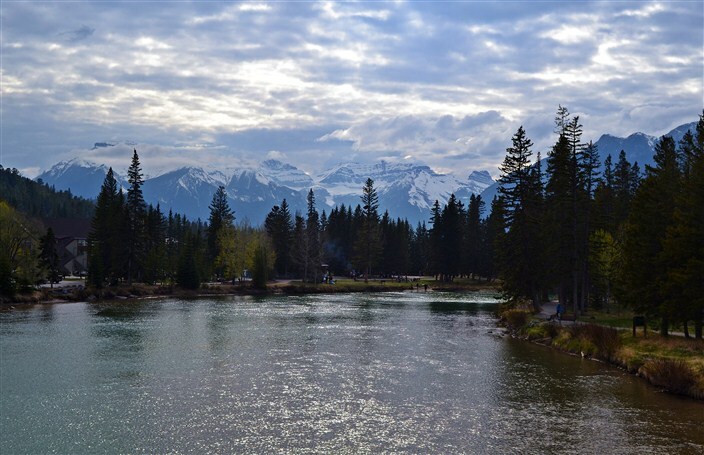 In preparation for the trip I’d read enough to know that staying right in the town of Banff itself would be pricey, but we tried a couple of places anyway. Full up. Then we started paying closer attention and noticed that every motel, hotel and B&B had their “No Vacancy” signs switched on. Early May and it’s this crowded? The first signs of concern furrowed my brow. 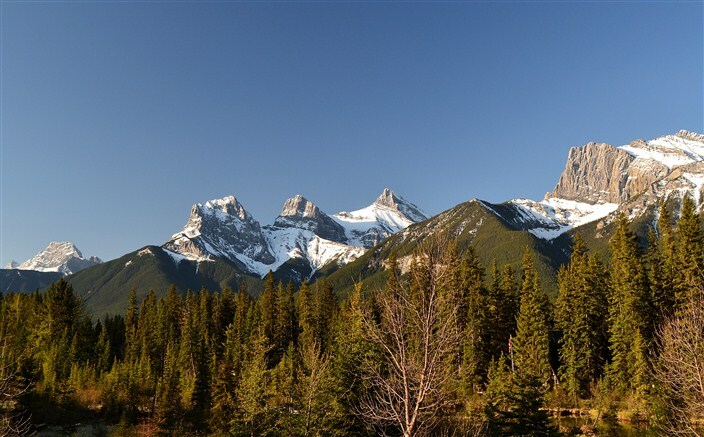 No problem, switch to plan B, which was driving to the town of Canmore about 15 minutes south and looking for lodgings there. 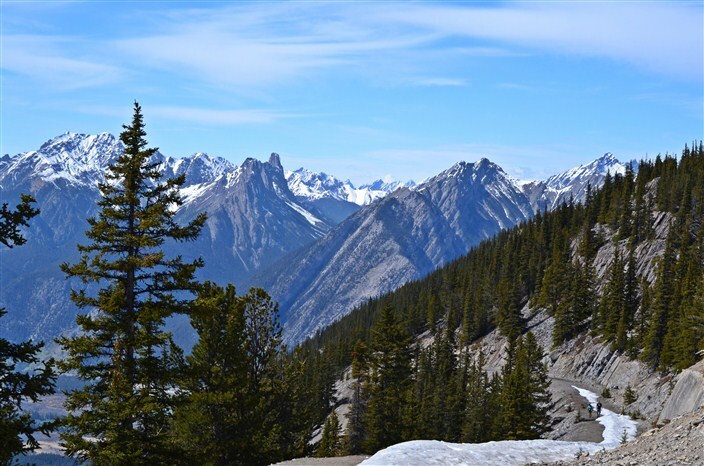 Actually this was more like Plan A-2 and what I’d expected to do anyway as everything I’d read touted Canmore as a nearby, more budget-friendly option to staying in Banff. In what soon became a recurring theme, Canmore greeted us with…yep, a solid string of “No Vacancy” signs. Finally I asked one of the motel clerks if it was always this crowded around here in May. Alarm bells went off in my head. Are we going to find anywhere to stay? Will we end up sleeping in the car? And what the hell is Victoria Day? I voiced some or all of these questions to her, probably incoherently and she did her best to answer them, although even she was a little foggy on exactly what Victoria Day was all about. Turns out Victoria Day is a three-day holiday weekend celebrated throughout Canada and we’d had the misfortune to unwittingly arrive smack in the middle of it. 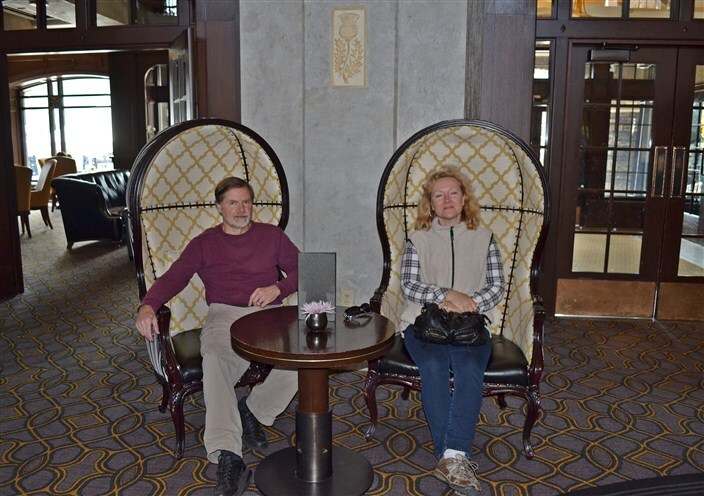 Most of the hotels require a three-day booking (at jacked-up prices) and so we were left scrambling to find whatever we could. It took three more stops before we eventually found a room in the Harvie Heights neighborhood. I hesitate to call it a village as H.H. seems to consist entirely of four motels and a highway exit sign. Anyway, no car camping was necessary so problem solved. 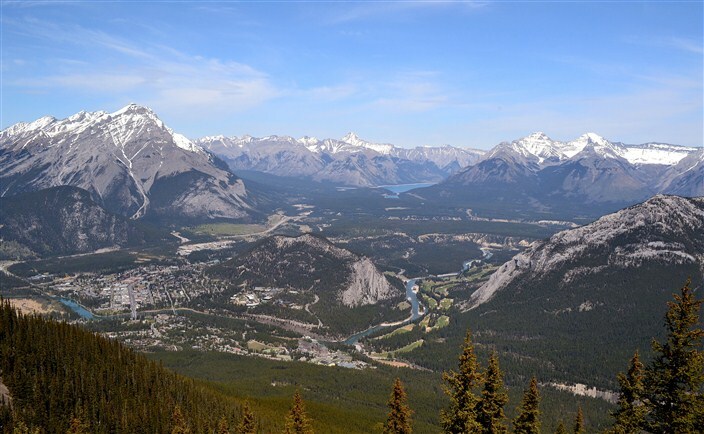 Lodging issues aside, there’s more than enough to do around Banff to keep you busy for whatever length of time you have to spend. We were only staying a couple of days and so went for some of the obvious highlights. 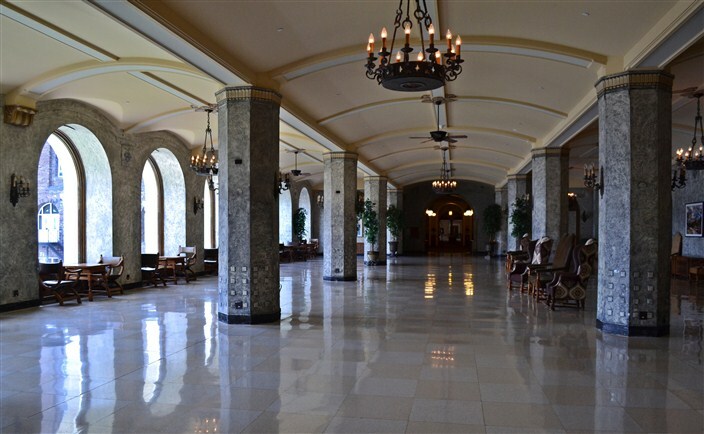 One of these is the Fairmont Banff Springs Hotel. 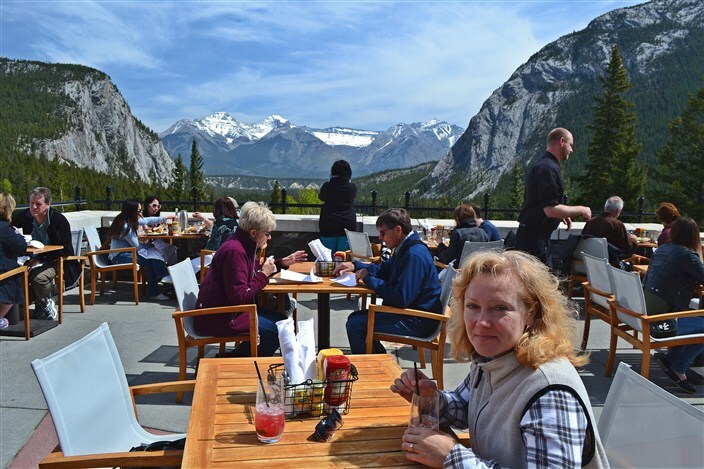 Now you might think it a bit odd to spend time at a hotel which you aren’t paying for, but the Fairmont is a lot more than just another hotel. It’s more like a working museum of the entire region, and visitors are free to roam the first two floors inside and the grounds outside. 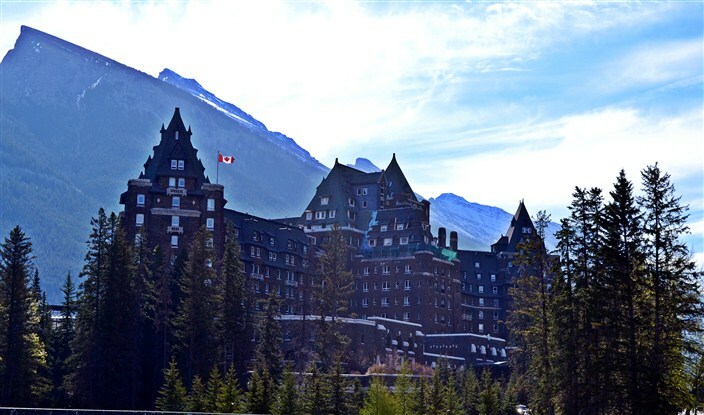 The Fairmont was built between spring 1887 and spring 1888 by the Canadian Pacific Railway at the instigation of its president, William Cornelius Van Horne. 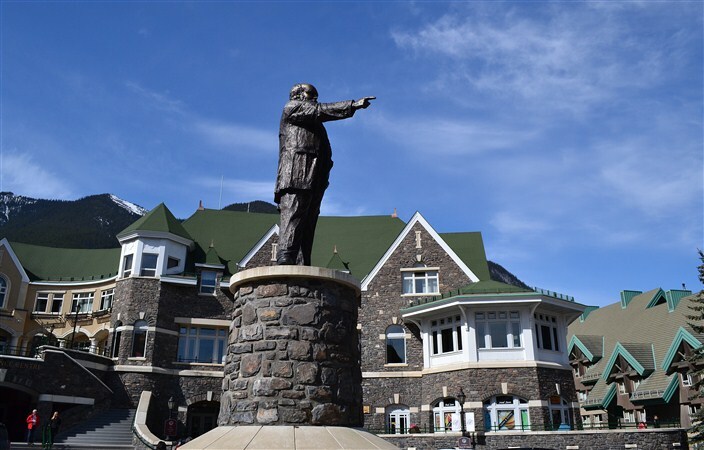 His guiding principle in expanding the CPR westward and building such luxurious resorts like the Fairmont was if you can’t export the scenery to the people, you have to bring the people to the scenery. 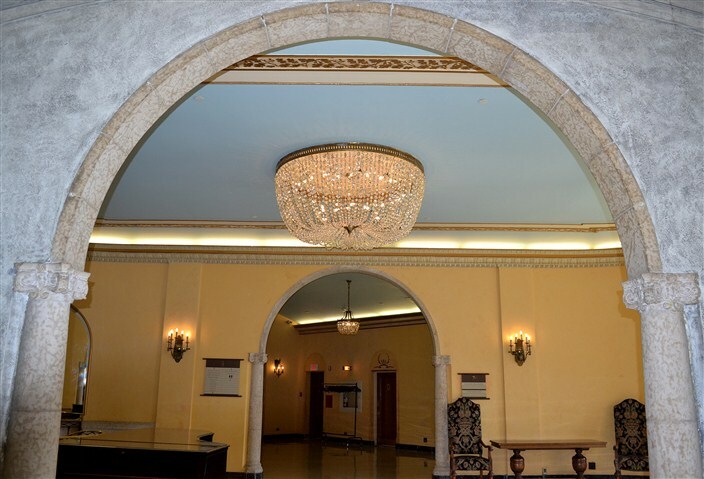 The list of famous folks who’ve stayed at the hotel is too long to detail here but includes kings and queens, presidents and prime ministers, and every variety of sports and Hollywood type celebrities through the decades. 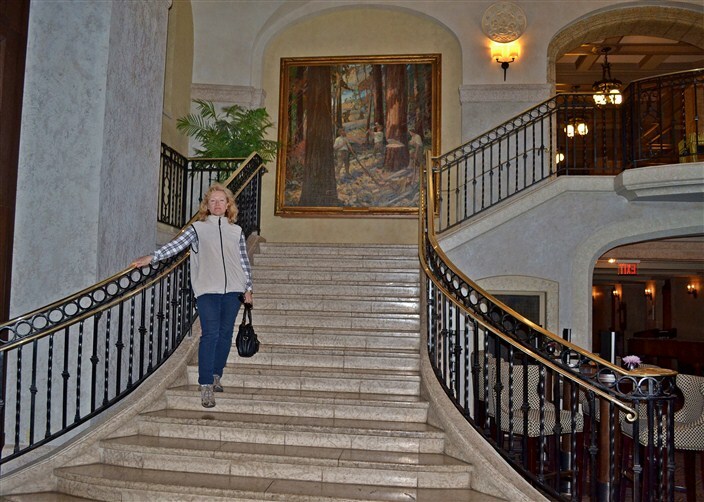 Photos of these rich and famous folks visiting the hotel are hung in various places throughout. 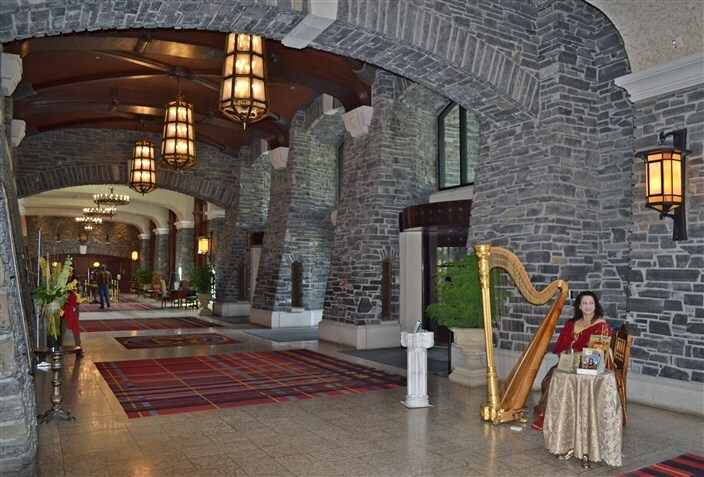 Like most of these large, historic resort hotels, the Fairmont Banff Springs is reputedly haunted. The story here has some bride tripping down a stairway in her wedding gown and breaking her neck. Sounds more like slapstick comedy than tragedy to me, but that’s just my own twisted sense of humor. 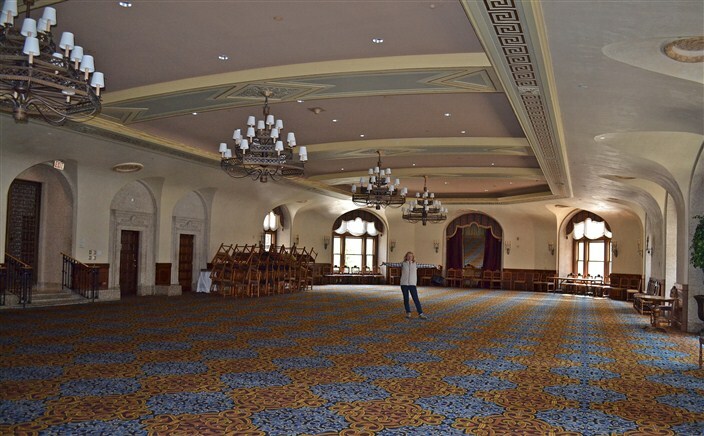 What the Fairmont did remind me of more than once, though, was Kubrick’s film The Shining. I kept expecting to see little Danny come rolling through those wide, endless corridors on his Big Wheel trike every time I rounded another corner. 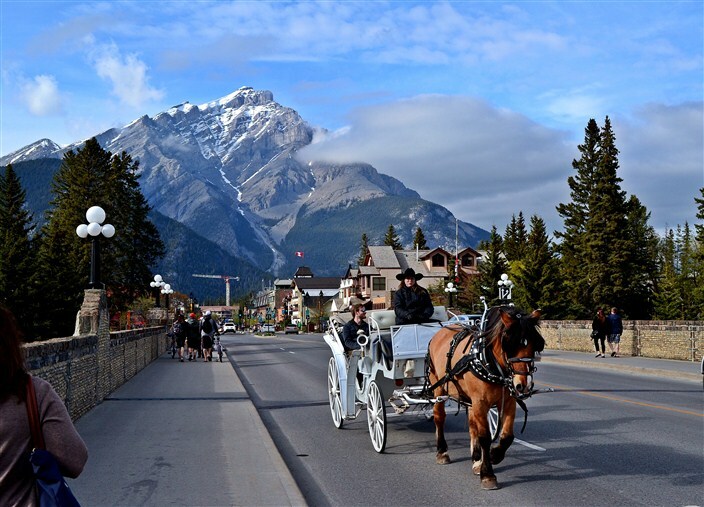 A mile or two further up the road from the Fairmont Hotel is the Banff Hot Springs. The hot springs are the primary reason this area became a tourist destination to begin with. We stopped by and my overall impression of the hot springs was…meh. Maybe some folks would get a bigger kick than me out of sloshing around in what amounts to a giant hot tub with about a hundred strangers. For seven bucks, I just don’t see the attraction of being stewed in a petri dish of other people’s bacteria. 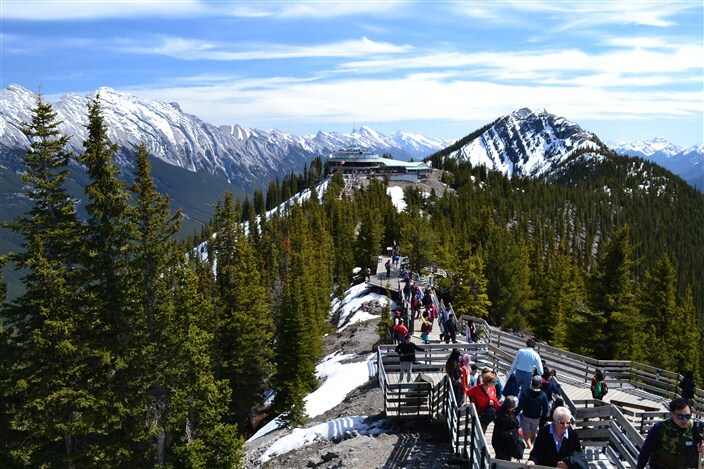 If you want the best view of the town of Banff and all the surrounding area, you have to ride the Sulphur Mountain Gondola, located right next door to the hot springs. The gondola ride is expensive at forty Canadian dollars a person and there isn’t a whole lot else to do at the top but walk around and gawk at the scenery, but man, what scenery it is. 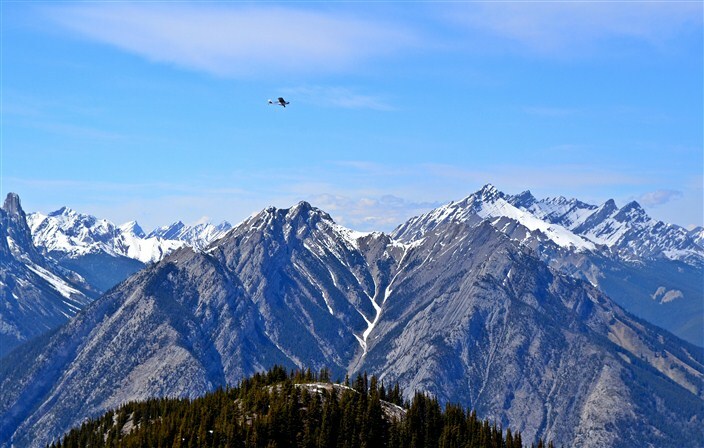 Big, expansive, jaw-dropping views of mountains, valleys, rivers and lakes in every direction. It really does give you a top-of-the-world, bird’s-eye feeling like few places I’ve been before. For the best views, there are wide, easily negotiated staircases leading away from the gondola house that take you a little further out. For the ride back down the mountain there was about a fifteen minute wait, but overall the trip was well worth it despite the cost. 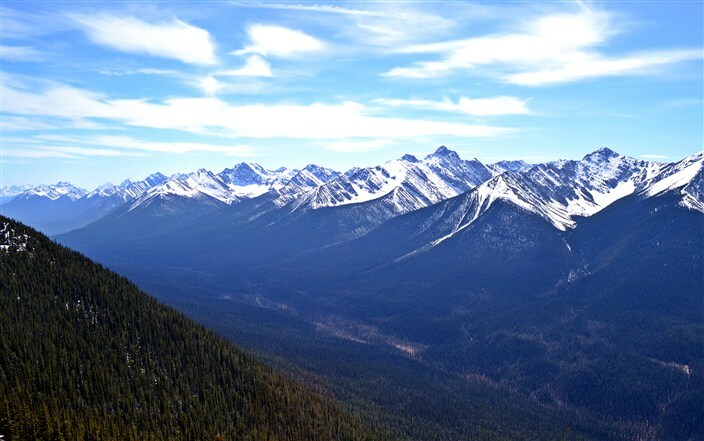 You could easily spend an entire week in Banff and vicinity and not exhaust all it has to offer. We didn’t have that much time but what we did see and do only whetted our appetite to return some day, and I think anyone with a love of mountains and the outdoors would feel the same.